Let me paint the picture for you. Imagine being a mother or father of a child that you tried desperately to conceive and them being held by the hands of a killer. A rifle placed at their temple and being told to denounce your faith for the sake of keeping your baby alive. Imagine the amount of confidence that a parent must have in their faith to be able to confess their faith in that situation? Can you honestly say that you could do it? Would you even give it a thought? If I’m going to remain transparent with you, I’m not sure I could. Real talk. Having that level of awareness of where I am increased my respect for those that are presently faced with that challenge and die daily based on their decision. ICC Note: In just over two months, more than 800,000 people have been driven from their homes and an ethnic and religious cleansing has taken place. The religious minorities, including Christians, Yazidis, and others have been driven from lands that they have occupied for thousands of years. 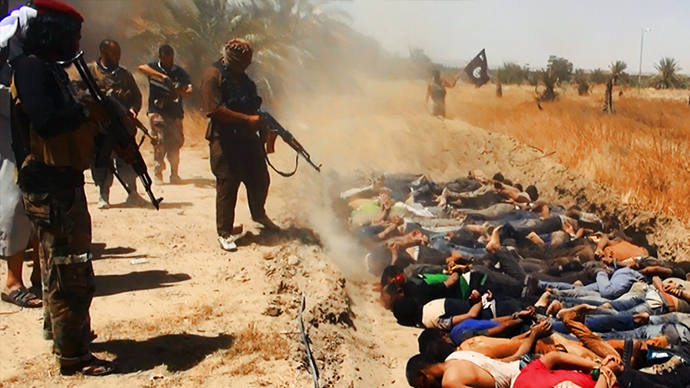 The brutality of ISIS has claimed thousands of lives in mass executions and massacres and the security forces have done little to prevent this. Without serious international intervention these lands will have been irreparably emptied of their Christian communities. There has been A Demand for Action to provide protection for these groups, but the response has been limited so far, and still the atrocities continue. Don’t get me wrong, prayer is a powerful weapon. Prayer is essential to breaking strongholds and tapping into the grace of God. Here’s the thing though… faith requires action. We must act on what we believe so for those that think this isn’t necessary, tell me what ideas for action do you have to help? Or is it the common, out of sight out of mind scenario? We can debate all day about what people are led to do in almost every other cause across the globe but one thing I think is undebatable is the fact that, as believers, we claim to be built on our faith. 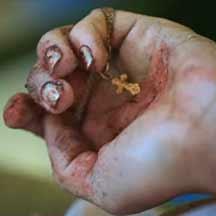 Our faith is our heartbeat. We don’t just go to church, we are the church. So what does that consist of exactly? Surely it’s not just sitting around hoping for help to come from country leaders! Here’s what faith consists of… men and women who actively live out what they preach. There’s not many examples of this but I’ve found one and it’s called The iNgage Movement, founded by Nelson Bowen. Just a year into ministry and they are already showing that they are answers to many, including those persecuted for their faith. As a result of their heart towards being an answer, they started the iConfess Challenge where they are taking social media by storm with video confessions of Jesus being Lord over their lives and calling out others to do the same. 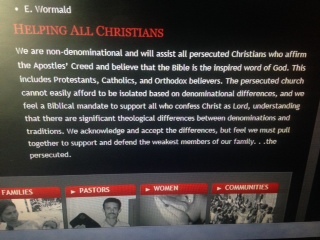 In addition to the videos, they have partnered with International Christian Concern (ICC) to receive donations towards helping persecuted Christians across the globe. ICC’s description of who they seek to help. 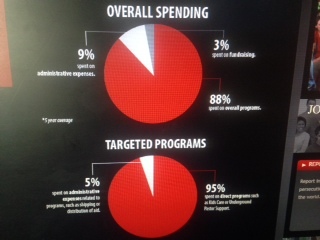 ICC’s breakdown of how they spend your donations. The iConfess Challenge is not a challenge to show off how well you can sing or how pretty your face is but it’s a challenge that shows support for an oppressed group of people and shows that our lives are not all about us! Not sure how this can be unattractive to believers but hey, it’s not for me to understand. It’s my job to be discerning and obedient to the things that God has called me to do. This is one of them. If you have a willing heart, join me in the challenge and let’s be walking examples of what believe since we are blessed with the freedom to do so! Prov. 3:27 (MSG) “Never walk away from someone who deserves help; your hand is God’s hand for that person.” If you haven’t heard of the #iConfessChallenge consider yourself informed! Now let’s be about what we say we’re about and be the hand of God to those persecuted for their faith in Jesus across the globe! It’s Tuesday with Bianca! Let’s GO!! !